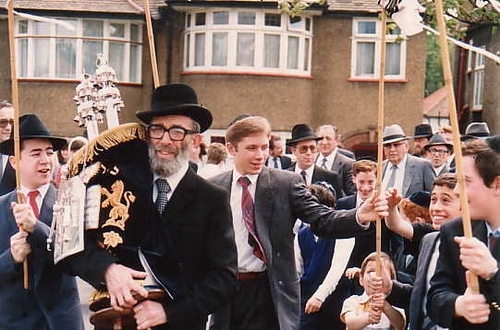 This Sunday represents the 25th anniversary of the Hachnosas Sefer Torah written by Rabbi Avrohom Shlomo (Barry) Solomon. 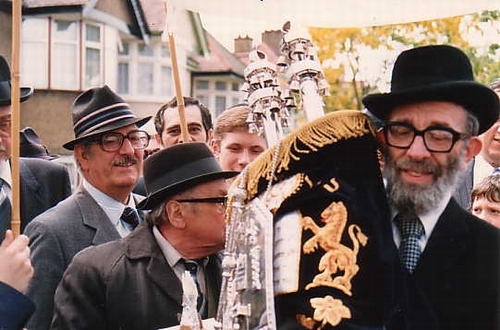 The writing of the final letters took place in Rabbi Cooper's house from 10.00am and those who had purchased Sedras or part Sedras were called at specific times during the morning to write a final letter. 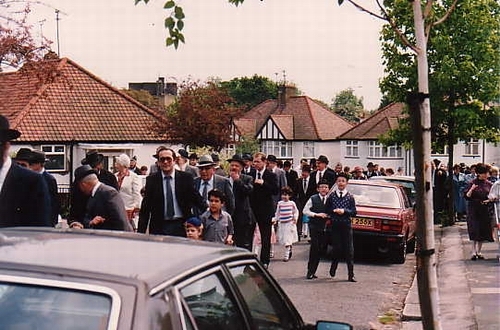 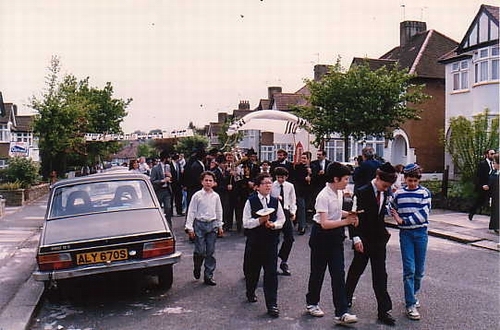 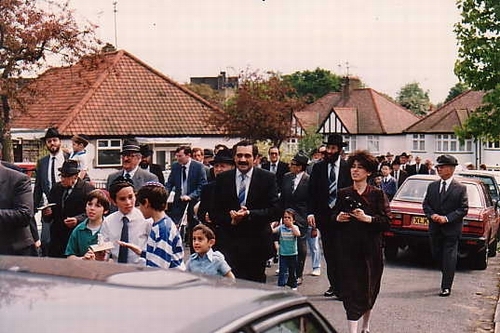 At 2.00pm a procession started from 51 Holders Hill Avenue, up Holders Hill Crescent as far as the school entrance. 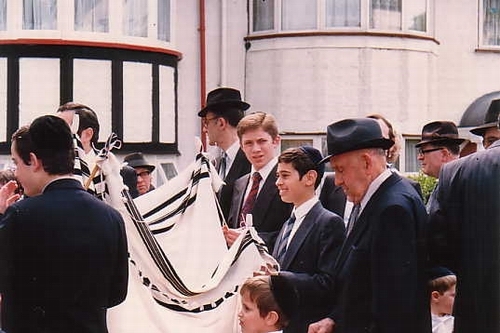 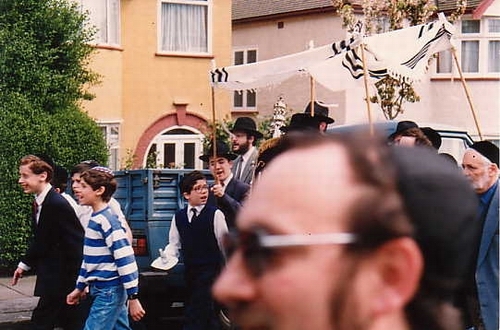 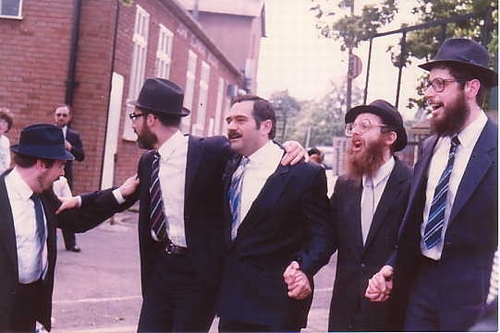 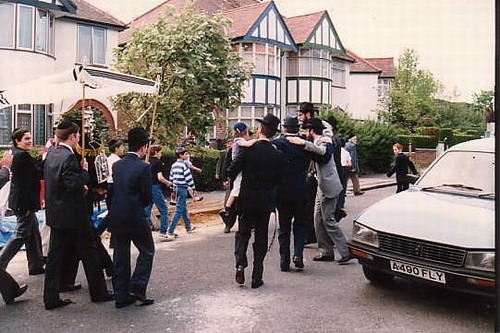 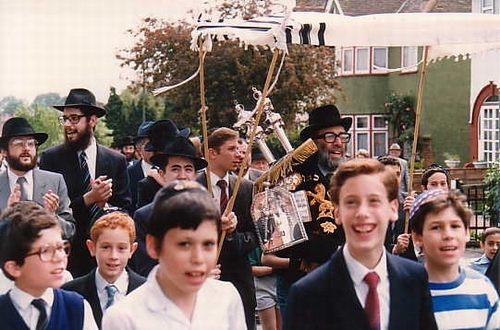 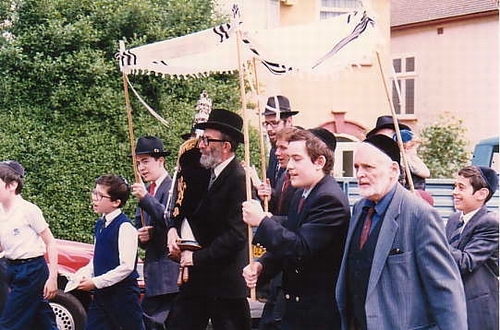 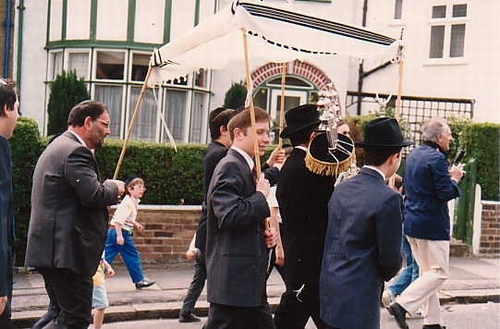 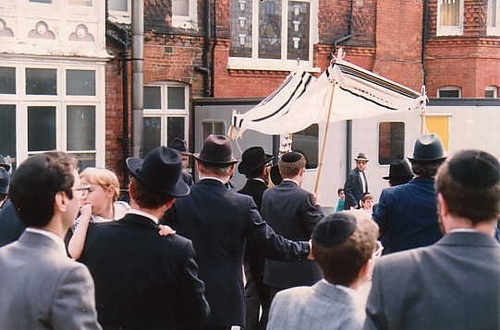 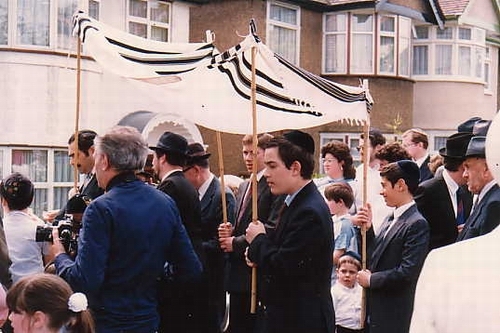 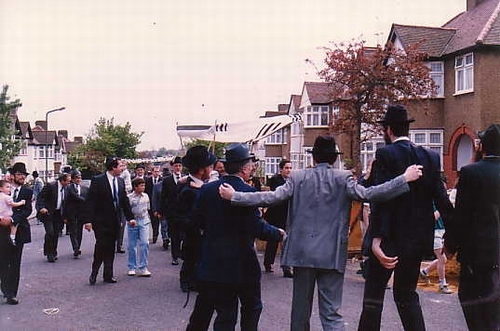 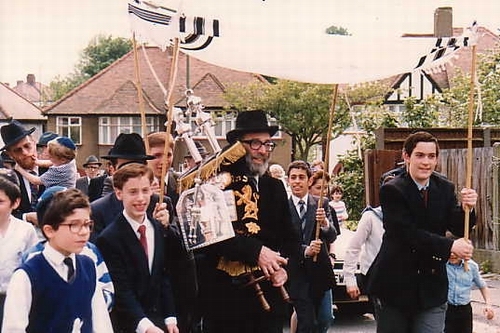 You will note from the pictures that there was a large banner over Holders Hill Crescent which was prepared by Gershon Hepner and Maurice Levenson. 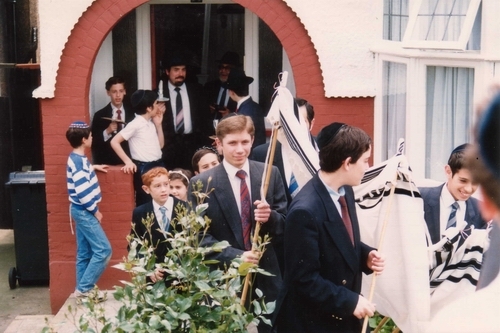 A Service was held in the Shul, led by Rev David Shine, to welcome the new Sefer and a celebratory Dinner was held in the evening (also for Yom Yerushalayim) in the School Hall where Rabbi Cooper, the Sofer and Rabbi Shammai Zahn (from Sunderland) spoke. 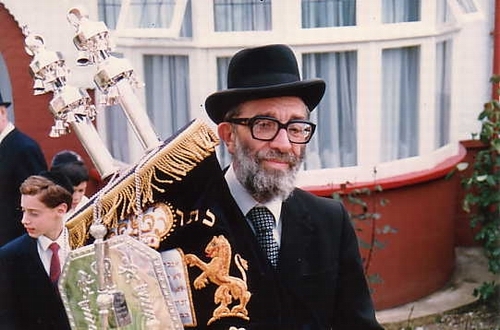 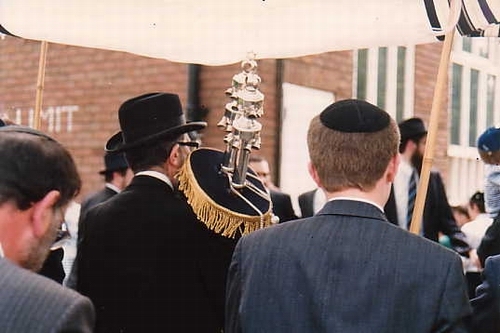 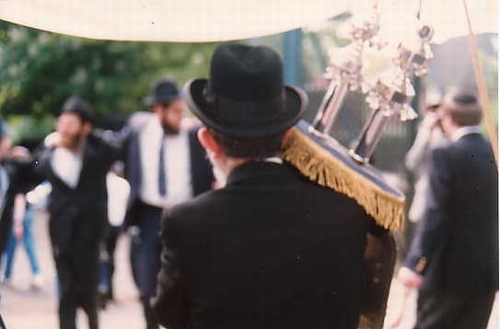 The Sefer Torah is currently in use in the Beis Hamedrash.